The person who invented ice cream was a genius. This frozen snack is so tasty that seldom people can resist, let it be small kids or grown adults. In summer, a scoop of ice cream help you beat the scorching heat. Even when it turns cold, I still love to serve my baked dessert with one scoop to balance the dish. Once you’re armed with the easiest recipe, you can whip up your homemade brand with only three ingredients even without an ice-cream maker. 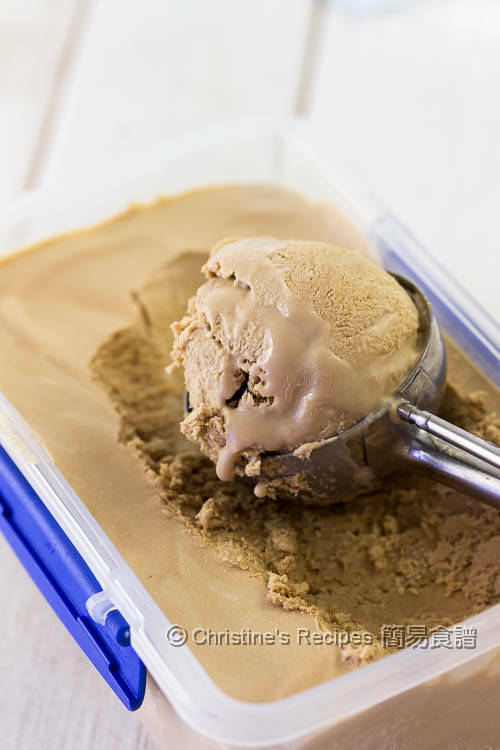 For making this coffee ice cream, it’s also easy. The texture is rich and creamy. Most importantly, try to get a quality coffee powder you love. I tried the Nescafe Gold Smooth this time. Upon the first bite of this creamy coffee ice cream, I felt myself flying up into the sky. Chill the whisk and mixing bowl in fridge for about 15 minutes. Mix coffee powder with hot milk. Stir well. With a spoon, press through a fine sieve. Set aside. Put the whipping cream into the cold mixing bowl. Use low speed to beat for 1 minute. Increase to medium high speed and beat until soft peaks form. Fold into the condensed milk mixture in three batches until well combined. Stir in the coffee mixture. Transfer into an airtight container. Cover and freeze for at least 6 hours or overnight. Enjoy! To get the best flavours and creamy texture, try to use quality whipping cream. Chill the whisk and mixing bowl beforehand. Or place the mixing bowl on some ice-cubes while beating if the weather is too hot. You may warm up the milk over the stove or in a microwave oven to dissolve coffee powder. No need to boil it. This step helps create extremely smooth texture. You may skip this step though, and directly add the coffee powder into the whipped cream mixture if you don’t mind some small coffee granules inside. I desperately need one large scoop now as it's so darn hot over here! Is there anything we can replace the condensed milk with? Is it for flavour or texture? Yes, it's for both flavour and texture. 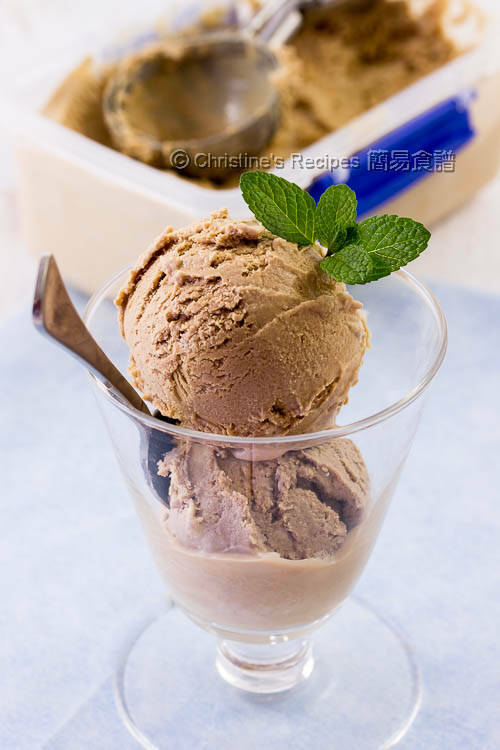 Without an ice-cream maker, the condensed milk places an important role to create creaminess. Without sweetness, we can't call it ice cream. Thanks for the recipe. I have an ice-cream maker. So what can I use to replace the condensed milk? You can simply put all the ingredients into your ice-cream maker. Still work. Does it have to instant coffee powder? Can I put 2tbsp of espresso and 2tbsp milk instead? Or all espresso? Thanks! Sure, if you like stronger taste, why not espresso? No problem. Blender can't be good in this case. We need to beat some air into the cream. If you have a hand-held balloon whisk, it'll do the job properly, better than a blender. Hi Christine, how much quantity of melted chocolate do I need for making chocolate ice-cream instead of coffee? How much quantity of melted chocolate needed if making dark chocolate ice-cream? Sorry, can't tell you the exact amount as I've got any record. Feel free to experiment starting with moderate amount and increase a bit more if not enough along the way of combining all the ingredients. Can I replace 4 tbsp. of milk with Bailey? You meant the kind of milk with bailey incorporated, didn't you? Sure, you can. I have been receiving your recipes via email. Always enjoy your simple yet delicious recipes, thank you! I've tried the vanila no churn ice cream. The outcome is great! The only setback is my son dislike the condensed milk flavour. Anything to replace it? Can I use low fat milk mixed with honey instead? By using condensed milk, the texture is very creamy and it won't have any icy particles inside even though you don't churn it with a machine. Feel free to experiment and replace the condensed milk for your son though. Let me know how you go. 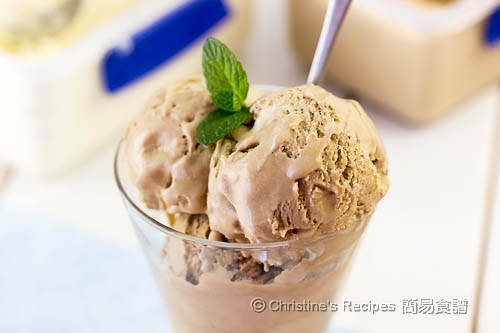 Hi, I have tried making ice cream before using this very simple recipe but I felt that the creamy taste from the whipping cream too strong? The texture is very smooth just that how can I reduce the creamy taste too much? 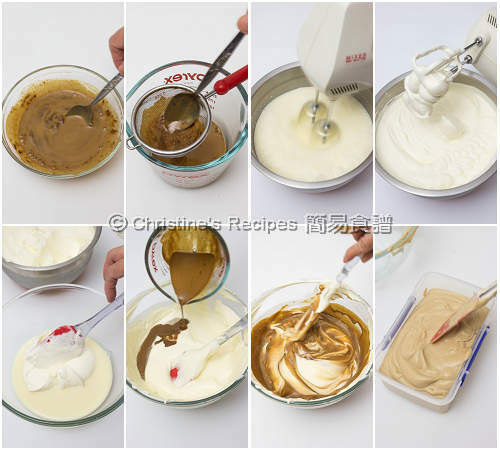 You might experiment with decreasing the quantity of whipping cream or condensed milk to suit your liking.